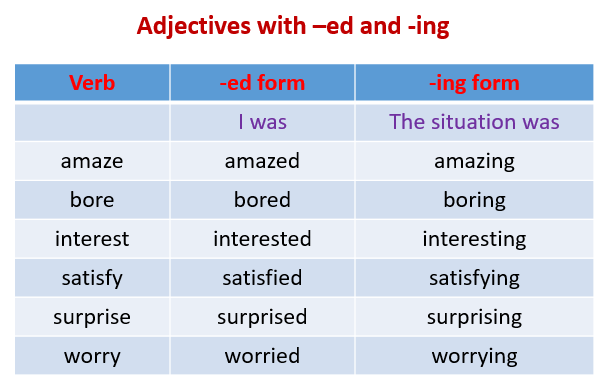 Adjectives - "ing" and "ed"
The following table gives examples of adjectives that end with -ed and -ing. Scroll down the page for more examples and explanations. Adjectives in English ending in "ed" or "ing"
An English teacher provides examples of adjectives ending in "ed" or "ing." Lesson 5a " -ING/ -ED adjectives"